The right kind of training can improve individual expertise and productivity, ultimately leading to increased business and greater job satisfaction. 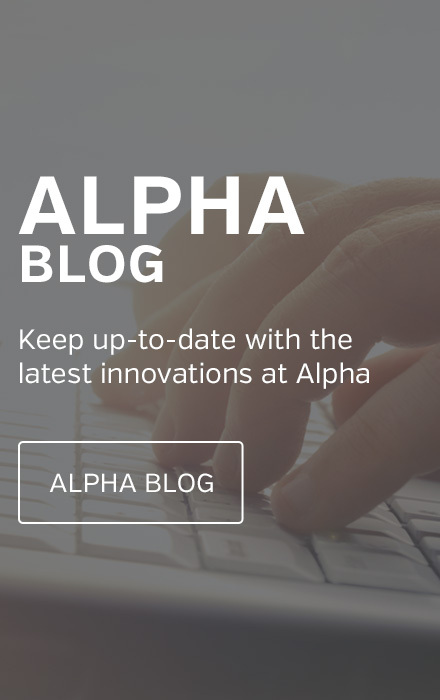 As well as covering Alpha products we also understand the importance of keeping up to speed with key industry-related topics, for example, the new Boiler Plus regulations that came into effect on 6th April 2018. If you're still unsure on what you need to do to comply then let us talk you through all you need to know to help you meet the changes trouble-free. In just a single day, we give practical hands-on experience of installation, commissioning, servicing and diagnostics for our current range of high efficiency boilers. We also provide a comprehensive overview of our useful accessories and low carbon products such as the GasSaver and FlowSmart, plus explore the essentials of our high output and commercial range. The day involves theory discussions with the course trainer in the morning and practical demonstrations and advice in the afternoon. Gas Safe registered engineers only can attend this free, one day course. All attendees will receive a voucher book containing £500 worth of cashback offers plus AlphaOne bonus points! As well as covering Alpha products we also understand the importance of keeping up to speed with key industry-related topics, for example, the Boiler Plus regulations that came into effect on 6th April 2018. If you're still unsure on what you need to do to comply then let us talk you through all you need to know to help you meet the changes trouble-free. As well our domestic boiler course we now offer training specifically on our commercial range of products. This is available at our head office in Kent, as well as at our centres in Barnsley, Birmingham and Glasgow. Please contact us for more information. We now have eight training centres located around the country offering our domestic boiler course. Four of these also offer our commercial boiler training course. Click here to book your place online today. Alternatively, if you'd prefer to speak to one of our team, please give us a call on 0344 871 8763 or click below to register your interest and we'll be in touch.